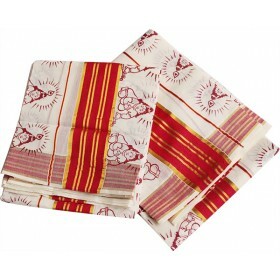 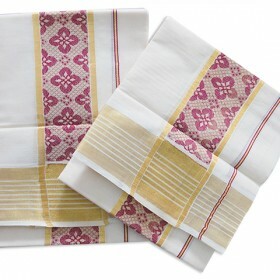 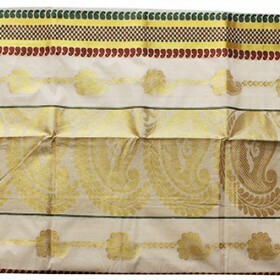 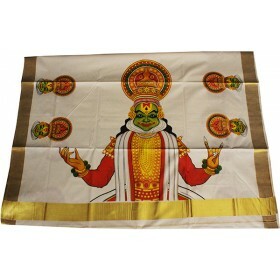 Get your exotic Kerala kasavu churidar from MALABAR SHOPPING with off white color having golden and red kasavu work on the front to give a new tradition look. 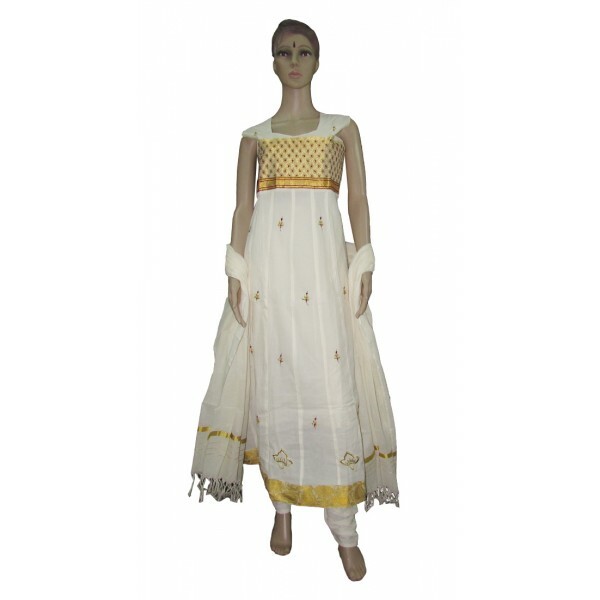 This is anarkali flair type top with crush bottom and dupatta with kunchalam. 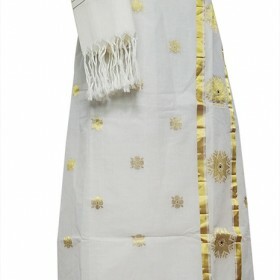 It has golden kasavu on the bottom part of the top. 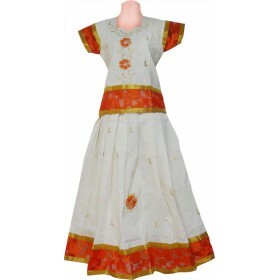 On the whole body small floral golden thread work which makes it gorgeous. 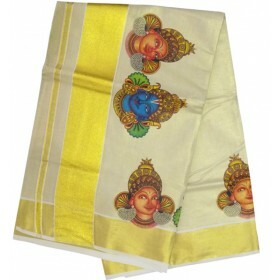 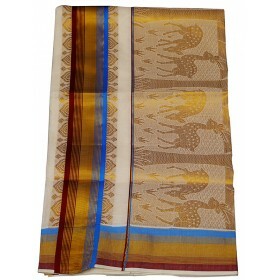 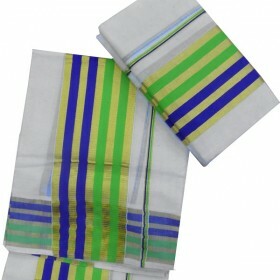 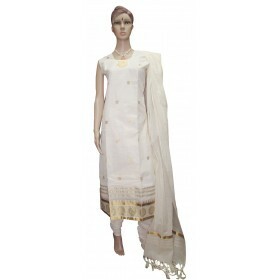 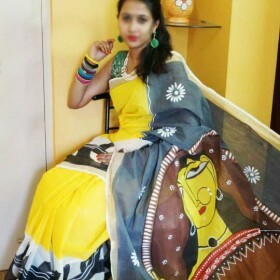 This will be an excellent ethnic for every woman’s to make their day special in all occasions.